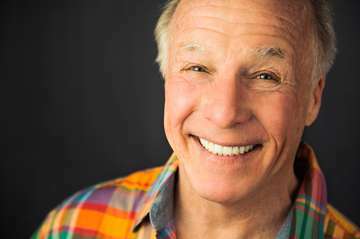 Radio personality, stand-up comedian, comedy writer, singer-songwriter & actor Jackie "The Joke Man" Martling was a long-time cast member and head writer of one of the greatest radio dynasties of all time The Howard Stern Show for eighteen years. Jackie can frequently be heard on The Jim Kerr Rock & Roll Marning Show on Q-104FM in the NY Tri-State area and nationally on The Mark Simone Show on WOR-710AM, the uncensored comedy channels SiriusXM 99 Raw Dog and on The Best Of The Howard Stern Radio Show also on SiriusXM. His sixth Oglio comedy CD snart was released in 2010, another 78 scorching minutes of Jackie live. Jackie Tweets a joke at 4:20pm daily from @JackieMartling and has over 30,000 followers. Featured as himself in the Paramount film Private Parts and the red-hot independent film The Aristocrats, Jackie has also appeared in many independent films, most recently Charlie Mantle with Armand Assante, Send No Flowers with Sean Young, Venus & Vegas, White Irish Drinkers, The Great Fight and Shoot Me Nicely. Jackie has appeared on many television shows, and has been a national headliner since 1979. His joke book was Simon & Schuster's 1997 Jackie Martling's Disgustingly Dirty Joke Book (hardcover 1997/paperback 1998) sold over 100,000 copies. His fun-filled web site is www.jokeland.com and "Use Your Finger! (516) 922-WINE," that he created in 1979 to help jump start Long Island's comedy scene, remains the world's longest running dirty joke line (35 years!). Jackie boasts a catalog of over 30 joke CD's, joke videos & joke by-products, produced by his own JokeLand Inc. & distributed by Oglio Records. He lives on Long Island & in New York City. Jackie’s (I’m) partial autobiography The Joke Man: Bow To Stern was released October 24, 2017.